The members, officers, and Board of Directors of The South Central Giant Schnauzer Club are thrilled that you have accessed our website and wish you a warm welcome! 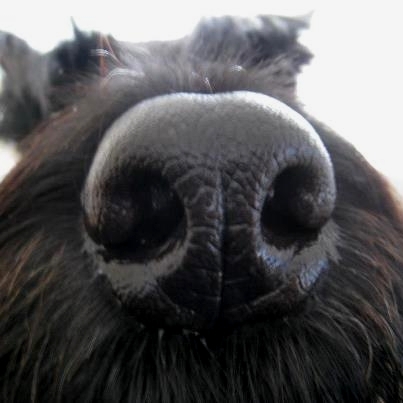 Our club was established in the spring of 2003 because of the rapidly increasing number of Giant Schnauzer owners in our five-state area: Texas, Louisiana, Oklahoma, Mississippi and Arkansas. However, our membership is not exclusive to that area, and we invite everyone with an interest in the breed to join us. No matter where you live, (we have members in Canada, Japan and Germany) or how many Giants you own (or even if you don’t own a Giant), your interest in the breed is the only membership prerequisite! Our primary goals are threefold: Education, Sportsmanship and especially FUN! With the rise in popularity of the Giant Schnauzer, there has been a rise in the number of misplaced Giants – dogs that have been placed in homes with owners who were uninformed or unfamiliar with the Giants’ temperament, character, eventual size, grooming requirements or special needs. Rather than fault the owners, people who love the breed should make every effort to educate and help novice Giant Schnauzer owner. If the novice owners feel a Giant is ultimately not the right dog for them, we need to work with the owners to make sure the Giant is returned to its responsible breeder, placed in the right forever home or helped along to a responsible Giant rescue group. In the past Giant Schnauzer owners, breeders and handlers in the South have enjoyed a spirit of cooperation and friendship. This spirit of good sportsmanship should be encouraged through social gatherings at dog shows, club meetings and special events. Judi Boston held the first Texas Fun Day in Dallas in the late 1970s. Sharon Thompson, Pat Gandy and Carey Bradley continued to organize the events through the mid-1990s. It is important for the club to follow in their footsteps because FUN DAYS are so much FUN for everyone involved. We hold Giant Schnauzer gatherings twice a year in Texas, but informal gatherings are also held at National and Regional Specialties across the country. All Giant owners should be invited to bring their Giants for fun-filled days of games, good food, raffles and costume parades. The club’s newsletter is published four times a year and your news, no matter where you live, is important to our members. We encourage people to send pictures, along with information about the picture, to the editor of the newsletter. We usually try to include general education topics of interest to all – health, treat recipes and grooming tips. We also want to highlight special times of a dog’s life such as recognizing our senior giants, having memorials for those who have cross over to the rainbow bridge, and of course, pictures of puppies. We encourage everyone to send items for the newsletter, for that is what makes the newsletter so great! Again, thank you for accessing our website and hope you’ll join us. For a membership application please contacts our Membership Chairman, Scott Turnbull, at ripsat@aol.com.